Star Wars: The Force Awakens won’t be out until December. If you are Chewbacca (and really, why aren’t you? ), that means you have time to kill. In Japan, that’s exactly what the wookiee has been doing. Or at least what Star Wars superfan Ryutaro Suzuki has had Chewbacca doing. 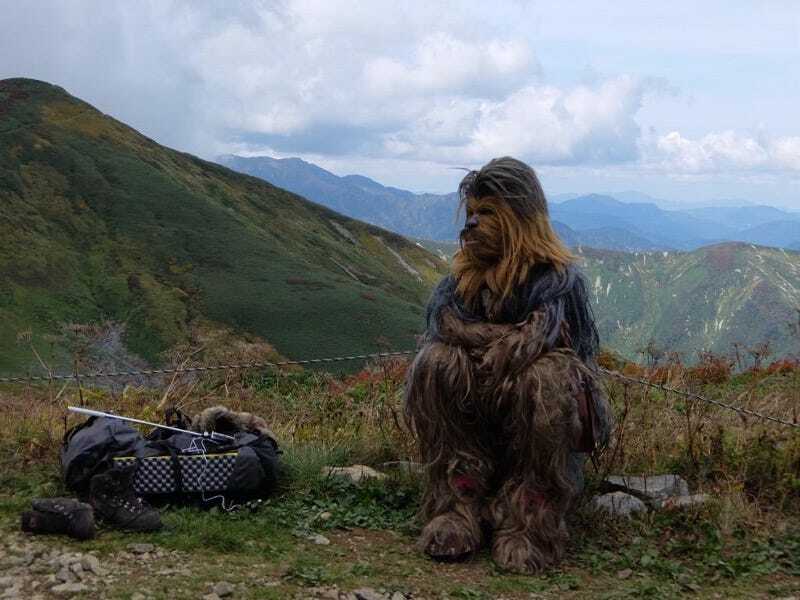 Below, you can see Chewie’s adventures in Japan. Shopping for a new guitar. Chewbacca is a big Back to the Future fan. Hitting the beach, making new friends. If you were Chewbacca and if you visited Tokyo Disney, you’d take this photo, too. You know you would. “Wan” means “roof” in Japanese. Do follow Ryutaro Suzuki on Twitter for more Star Wars photos like this.